“We want to be more than just a cinema”. It’s a phrase I’ve been using a lot lately. I find myself using it as a bit of a tagline when people ask me to explain this passion project that’s been taking up all my spare time these days. But what are we actually aspiring to here, and why? As someone who’s made cinema a major part of my life for as long as I can remember, why do I feel the need to try and be anything more than something I love in all it’s simplistic glory? What exactly do we want to be? The truth is there’s a lot of things that go into it. For starters we’re a non-profit so we want to keep our prices affordable for everyone and our group puts back every penny of any profits we make back into improving the experience for our audience. We were also borne from a local residents’ vision to reduce loneliness in our neighbourhood and our exceptional volunteers have always freely given up all the time it takes to keep this ship sailing. All of these things play a part, but they aren’t what I’m getting at. We’ve been fortunate enough to have been funded by just about every organisation in our local area and feel humbled in the knowledge they support us with what we are trying to achieve. We try to centre our events around the people, not just the film and make as many as we can free of charge (we’ll have made 6 free this year!). We put information up on-screen during our intervals to help spread the word of other local groups and we invite their organisers to offer free tickets for our events to their volunteers. These people are paying it forward to make our community what it is and they deserve a treat now and again. Still though, these things are what we already are and don’t explain why we are still striving for what we want to be. Maybe it’s about that feeling we get when the film ends and there’s that moment, just after the credits start to roll and just before the first person claps. That indescribable stillness where you can finally appreciate the whole film in it’s majestic completeness. It’s wonderful in any cinema, but with us it really feels personal. We all get to feel it at the same time, talk to each other about it, celebrate it together. It allows it to resonate even further for us. We’re definitely starting to feel a little something more than we do in the average cinema. We want to know we are giving our audience what they want. We’ve had some wonderful reviews lately, such as one mother who told us she brought her family to a kids event for a nice cheap afternoon out and left with a real sense of community spirit. We were also told recently that an audience member was coming to visit us by herself because she’s met some lovely people here and feels comfy enough to do so. Now we’re getting much closer to what I mean by ‘more than just a cinema’. Don’t get me wrong, we know we have more to do to try and bring in some more of the harder to reach people in our community, but we know we are still at the beginning of that journey. And we are determined. But let’s not forget why we are all here (not existentially. I mean here, on this website, reading my incredibly long blog post!). Films. We believe in the power of films. We think they can change the world for the better. If you’re not convinced then what about when ‘Philadelphia‘ helped change stigma during the AIDS crisis, or the way ‘Super Size Me’ ignited the debate on junk food and obesity? What about the impact of the ‘Blackfish’ documentary on SeaWorld? There’s arguably more public demand than ever for such films too. The sobering ‘Before the Flood’ had a huge multi-platform release, and no wonder with it starring Leonardo DiCaprio and having Martin Scorcese executive producing. It not only won a Hollywood Film Award but broke records on it’s release making it one of the most watched documentaries of all time. First and foremost though it’s an expertly shot and urgently paced ’round-up’ of some of mankind’s worst contributions to climate change and the damage we are doing to our planet. A bit closer to home and we all saw David Attenborough’s urgent plea at the end of ‘Blue Planet 2’. A documentary so astounding it warranted a Hans Zimmer score! It became the most watched UK TV show of 2017 and reached an estimated 37.6 million of us (62% of the UK population at that time). Not just a stark warning about how our societal habits are destroying our natural habitats; but a powerful message that, should our leaders not take the required action to make change, then broadcasting the right film straight into our homes might just be enough to change our behaviour individually in order to collectively improve our world. Is it a coincidence that only 3 months after the series aired the government announced a huge increase in funding to tackle our ocean’s plastic waste problem? We have been lucky enough to put on some events of our own which can be billed as ‘social impact cinema’. In other, perhaps grander terms, films that could change the world. Our most popular of these were ‘I, Daniel Blake’ last year and ‘A Northern Soul’ last month. Two films which cast a magnifying glass over the subject of poverty in our country and the effect it has on real lives. These events were incredibly proud moments for us as we got to do our little bit to help spread the important message the films convey to the friends and neighbours we call our audience. BAFTA winner Sean McAllister, director of ‘A Northern Soul’ came and spoke to our audience to help us understand his disdain for ‘war on poor’ television. He told us how he wanted to portray his protagonist, Steve (who also came along to visit) and his struggles, through the positive lens with which Steve approaches things and not in some bleak depressing feature. He said of Steve, ‘You can’t blame him for anything, all he’s doing is working his arse off in everything he’s doing, but he’s still not making ends meet’. We welcomed Dave Johns, lead actor in ‘I, Daniel Blake’, who told us about the research that went into making the film realistic and how he hoped it might raise awareness of what life is actually like for people on benefits. He said that the film ‘gives the working classes a voice that nobody has listened to for the last 50 years’. Both these films are moving and, more importantly, genuine portrayals of life on the poverty line and they have the potential to make real change. If enough people watch them; if the right people watch them. Jeremy Corbyn even asked Theresa May to watch I, Daniel Blake during PMQ’s back in 2016. And it’s that idea that people can be connected over films that we are looking for here. 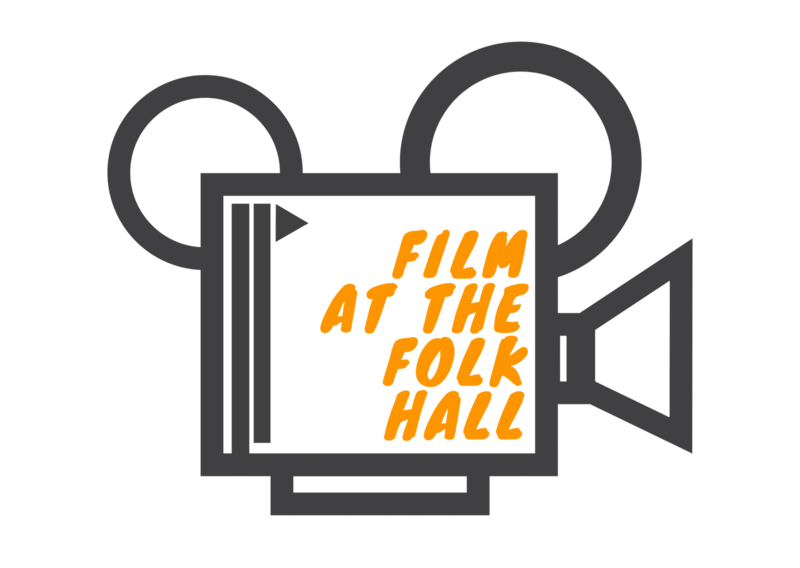 It’s the ‘Folk’ bit in Film at the Folk Hall. Of course we have big dreams, we’d eventually like to generate enough income to have bigger, themed events and parties. We’d love to have a more even balance of social impact cinema alongside our box office smashers and crowd pleasing classics. We’d love to raise more money for good causes and showcase some more of the impressive local talent going on in our City too. All in good time. Most of all what we want is to put on thought provoking and exciting events that matter to you at an affordable price. Events that might raise your awareness or even challenge your opinions on important subjects. We want to expand our community of film lovers who want to find a new way to connect, learn and grow together around film. That’s what we think it means to be more than just a cinema.